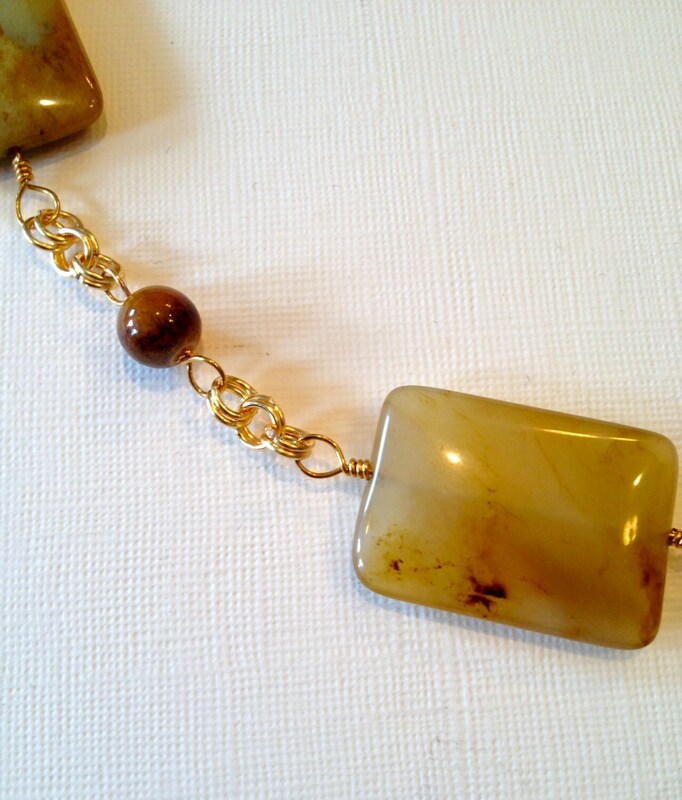 "Sandrine Jewelry Collections" provides one-of-a-kind pieces with the mission of valuing the uniqueness in each of us. 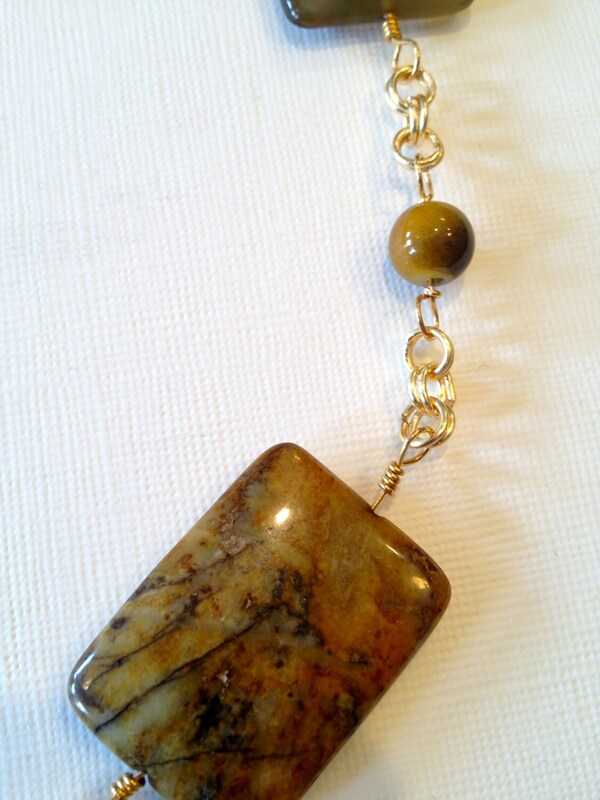 Gemstone necklace with gold-plated chain. 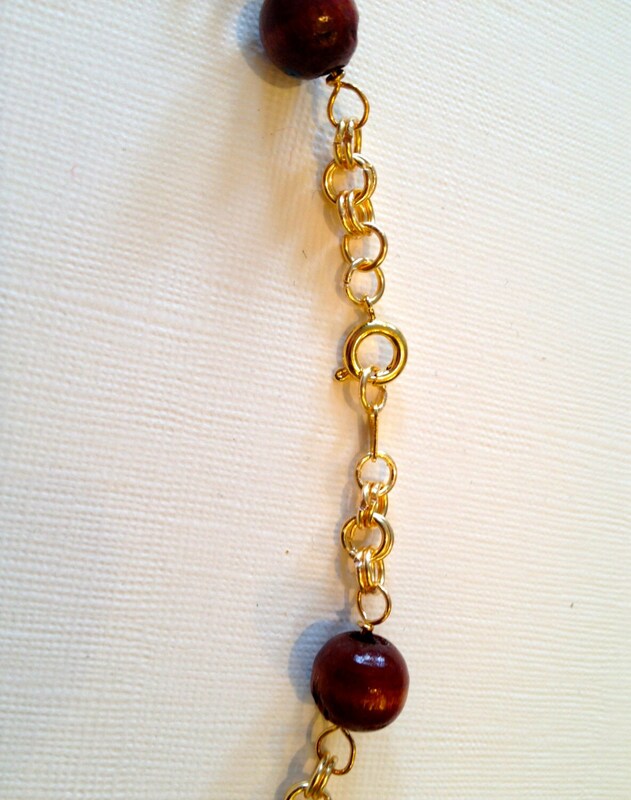 Beads include rectangular and round gemstone beads with a couple of brown wood beads connected with double ring gold-plated chain. 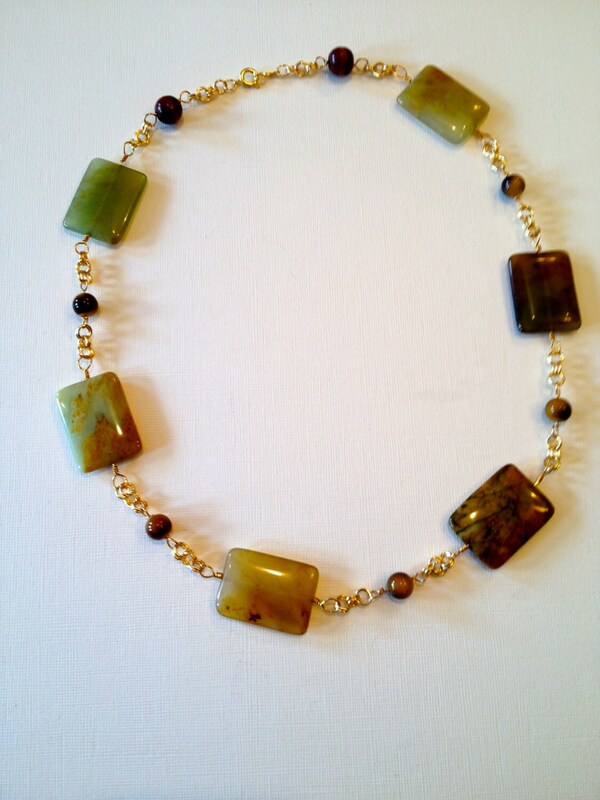 This necklace is 22.75" long and ended by a golden spring-loaded clasp set. ©Sandrine Fine Arts & Jewelry - Art of Heart designs by Sandrine Colson. All rights reserved.